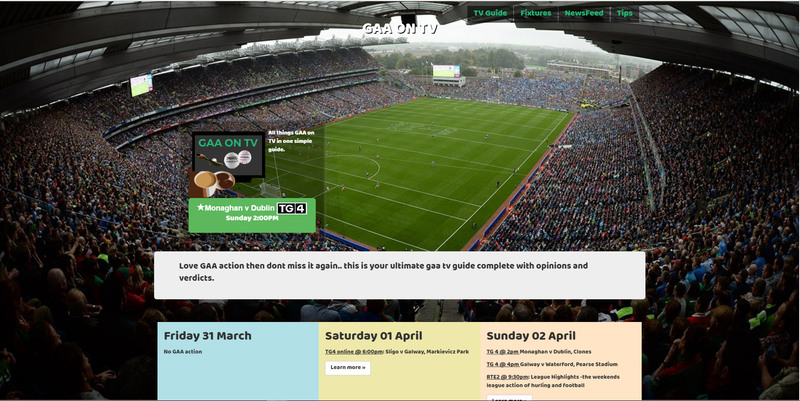 GAA ON TV is the ultimate gaa tv guide complete with live feeds, fixtures, opinions, tips & verdicts. We are currently building an app for this project and it will be available in the app stores fairly soon. To see the website click here. Totally Appenin © 2018. All rights reserved.